Your company is invited to join others in the light aircraft industry as a member of the Light Aircraft Manufacturers Association (LAMA). 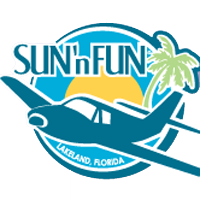 Founded in 1984, LAMA is a nonprofit national trade association representing manufacturers of light aircraft, engines, avionics, parts/subassemblies, and suppliers and distributors to the light aircraft industry and community. 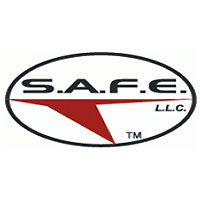 Many kinds of businesses are members including several airports serving light aviation. LAMA was instrumental in the development of ultralight/light aircraft airworthiness and QA standards in the ‘80’s and for more than 10 years has been deeply involved with Light-Sport Aircraft ASTM consensus standards. The membership fee has remained stable for more than a decade, despite LAMA doing more than ever for members. This makes the annual $500 fee a special value. WHAT DOES LAMA DO FOR YOU? 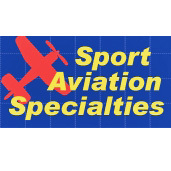 LAMA is the light aircraft industry’s voice … LAMA is the ONLY organization 100% dedicated to your products and this industry. Other organizations such as EAA, AOPA, AKIA, and GAMA offer LAMA friendship and support yet each of these fine organizations must serve their own members first. Any help they can give the light aircraft industry must come second. While LAMA will continue working closely with them, we cannot depend on other groups and must help ourselves. Since beginning advocacy efforts in earnest in 2014, LAMA enjoyed remarkable achievement. We meet with top FAA executives in Washington DC about once per quarter plus have visits with FAA managers at airshows and seminars. Following are the initiatives we focus on most at this time. We see these as the strongest ways to help our member businesses. ••• AERIAL WORK — We are investigating use of SLSA for compensated work when flown by qualified pilots. This can enlarge everyone’s market, helping you sell more aircraft. This will not be an easy goal, but it could make LSA far more valuable, helping your bottom line. ••• ELECTRIC PROPULSION — This cutting edge technology is resisted by few but the SP/LSA rule had a couple unfortunate lines restricting powerplants to reciprocating engines. The USA is falling behind the rest of the world to the detriment of airframe producers. ••• SLSA GYROPLANES — The gyro community is doing superbly … everywhere but in the USA where it is held back by the requirement for kit gyros only. Rotax reports selling more engines to gyro manufacturers than any other segment. This helps bring in more pilots. ••• SINGLE LEVER CONTROL (In-Flight Adjustable Props) — Our newest initiative can provide more performance for the aircraft you may sell, but such a system can also aid safety without adding to the pilots workload. In 2015, we gained valuable support from EAA, AOPA, and GAMA toward these goals … to varying degrees, sometimes VERY strong and with no resistance to any objective. We are exceedingly pleased to gain their support. As a result of our outreach to them, each of these organizations has offered assistance where they have special expertise. However, much work remains. We must continue to travel to events and to Washington, DC to keep moving the ball down the field. No one working for LAMA receives any salary. We do our work, literally, as volunteers. Yet we do incur some costs, such as travel, and we hope that you will join or rejoin LAMA to show your support for these valuable efforts. All funds received by LAMA are spent VERY carefully. Nearly all of it goes to travel expenses to promote the advocacy goals above. No members funds are spent on telephone, insurance, office expenses, or other costs. We cannot envision using your LAMA member dollars more wisely than we do. How? Simple … join or rejoin LAMA. At only $500 a year, LAMA is a genuine bargain. REMEMBER … LAMA is the light aircraft industry’s only dedicated voice. With your support, LAMA’s voice is stronger. All you have to do is call office manager Randee Laskewitz (another volunteer) at 651-226-1825. If you prefer to do this online, please go to the following link and complete our brief member application. Thank you very much for reading. I hope we can count on your support. P.S. Please remember, while many good organizations support your business in various ways, they have other members who come before you. Only LAMA has your business at the very top of its agenda. 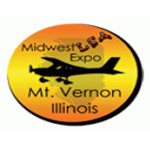 LAMA is 100% dedicated to Light-Sport Aircraft, light kit aircraft, and ultralights. P.P.S. We appreciate the help of EAA, AOPA, GAMA, AKIA, and others, but when FAA wants to hear from industry they ask LAMA; FAA does not routinely contact dozens of companies for input. Only LAMA can be the voice of the industry and without LAMA, the industry has no voice. Your support means we can take your concerns and opinions to FAA. P.P.P.S Compared to common business organizations where annual dues can runs to tens of thousands of dollars, LAMA is an exceptional value at only $500 per year. This is an example of how far we stretch member dues to do good work for you. Please support our efforts on your behalf.